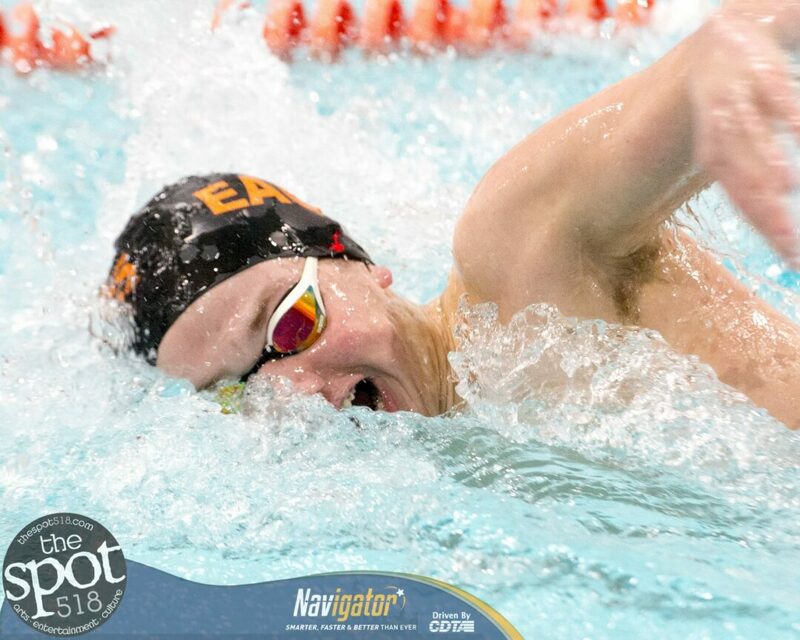 BETHLEHEM — The Eagles boys swim and dive team got the better of Ravena-Coeymans-Selkirk in the last dual meet of the season by a team total of 106-60. In the process, the Bethlehem team of sophomore John Janeski, freshman Max Kaback, junior Jason Wu and team junior Capt. Joseph Chiarella shattered an 11-year-old pool record in the 200 freestyle relay with a time of 1:29.71. The old record, held by the squad from Shen, was 1:30.63, and it held since Jan. 31, 2008, according to Coach Nate Foley. Section II competition starts next week at Shenendehowa High School with diving on Thursday, Feb. 14, swimming preliminaries on Friday, Feb. 15, and swimming finals on Saturday, Feb. 16. The state championships will be held on Friday and Saturday, March 1 and 2, at the Nassau County Aquatic Center.